This post is the first installment in this series written for people and companies who have the need to hire professional voiceover talent. This series discusses the contrast between what services and qualities a full-time voiceover talent can offer versus a part-time voice talent. Even though just dealing with life’s daily demands can sometimes feel like a full-time job, most of us have to take on a real career to pay the bills, feed the kids and keep our Netflix subscription in check. I’m lucky to have discovered voice-over acting as my calling and career. It’s a vocation that I have been building up and honing for close to 25 years now. 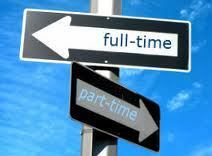 When it comes to hiring voice talent, that FULL-TIME status can be a big perk for clients. Hiring full-time female voice over talent comes with several benefits that you may not find with part-time voice-over actors. Let’s say you need a recording pronto or a rapid answer to a quick question. Either request may be super-short and super-easy, but it’s still under a super-strict deadline. Many full-timers could fit in your last-minute project, or answer your question, within minutes. 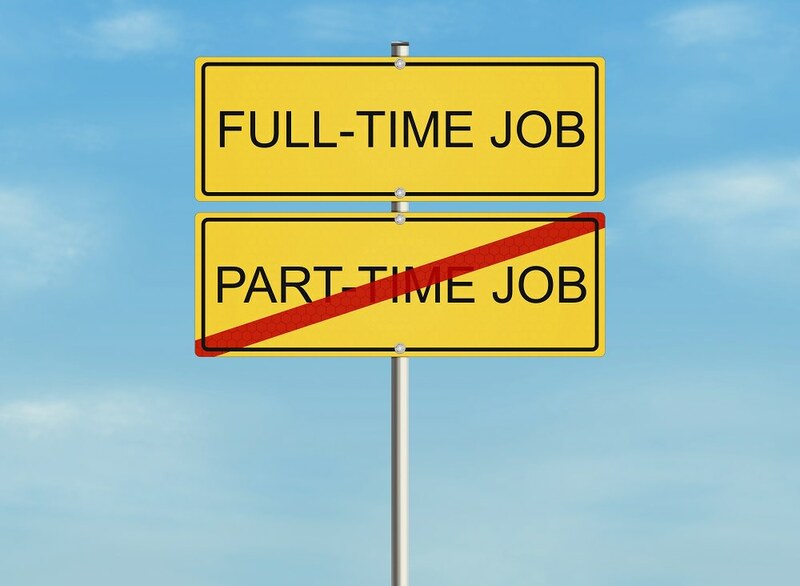 Part-time talent is typically working a day job for their primary income source and may only provide voice-over services on nights, weekends and/or whenever they can fit it into their day. That means you may not have that quick answer until later that evening or tomorrow, or that recording delivered until sometime on Sunday, or maybe next week. In today’s world, business moves too fast to have to wait hours for answers or results. When you work with a full-time female voice over talent, you know you can get a quick response; whether it’s a simple question, an audition or recording a job. Not only is a PT voice talent’s time split between their regular career and part-time acting, but their mental and energetic focus is also split. Full-timers can keep their head in the voice over acting game 24/7, leading to enhanced concentration and more precise results. Okay, now let’s say you need an audio project revised months or even a year later. Contact your reliable full-time female voice over talent six months down the line and she’ll be there to accommodate your request. Successful, full-time voice actors are typically highly committed and serious professionals who intend to stick around for the long haul. There’s no reason to leave a career we’ve paid our dues to establish and truly enjoy. Your full-time, on-the-spot talent will also be able to match the same vocal quality from six months ago. Their experience and tools allow them jump in and complete the project in a jiffy, with the consistency needed to make your revised project sound seamless and professional. – They may not be doing voice over work at all anymore, or it may be difficult to track them down and get a response from them in a timely manner because their availability to do voice over work is limited. – Something may have changed about their recording setup (maybe they upgraded some equipment since the last time you worked with them) and there are issues getting the new audio revisions to fit with the original recording. – They possibly don’t have the professional tools and equipment readily available, to make the changes and revise the audio effortlessly and easily. Instead of getting a few simple revisions for your existing recording from the same actor, you’re stuck having to re-audition, re-cast, and re-do the entire project, costing you extra time and money. I had this exact situation occur just last week. A client whom I hadn’t heard from in awhile emailed me asking for some pickups to a video VO that I had done for him over two years ago. It is great to know in a situation like this that I can easily confirm nothing has changed about my sound, and what I record today will fit seamlessly into what I recorded a few years ago. I even still had the original audio file from the session I did over two years ago, which made it even easier for me to quickly match exactly the sound, style, pacing and tone that he needed for the pickup. Full-timers are generally more willing and able to invest in the high-end equipment necessary to record and deliver the end product in a variety of ways to best suit client needs. A high-end microphone is a must for all working pros, as are ISDN capabilities (or other methods of “hooking up digitally”) that allow real-time recording and phone patch capabilities. A part-timer may have some high-tech equipment, but chances are, they could be lacking in some of the bigger ticket items. The ISDN equipment investment alone can run anywhere from $1,500 to $5,000 (plus the monthly phone charges which range into the hundreds of dollars in some places), and high quality microphones can run up to several thousand dollars as well. It’s not an easy business. Part-timers can give up after a year or two when they realize the enormous amount of work, and the length of time it can take to establish a steady stream of clients. Some people may take the voice-over workshops, make a demo, set up an in-home studio, and then spend the next six to eight months NOT getting much work. It’s pretty common to become discouraged with the whole business, and just decide to throw in the towel. Not only is full-time talent more apt to deliver the quality work you need when you need it, but you’ll also be able to relax, knowing that you’ve hired and are working with a true professional, who will be there for you and deliver the goods when you need it most. But wait…there’s more! Please read Part 2 of this series discussing more of the benefits of hiring full-time female voice over talent versus part-time voice talent. Please share your thoughts, comments and feedback below.